Lotfi Abdelli, Jimi Busuttil, Sékouba Doucouré et al. 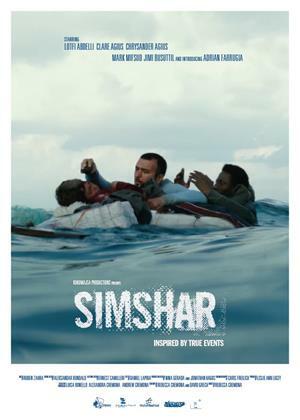 Young Theo (Adrian Farrugia) is sent on his first trip with his Maltese sea faring family, but things go terribly wrong when the 'Simshar' sinks, leaving the crew stranded in the Mediterranean... Simultaneously, Alex (Mark Mifsud) - a medic reluctantly dispatched onto a Turkish Merchant vessel which has rescued a group of stranded African boat people between Malta and Italy - gets stuck on the boat as the countries wage a bureaucratic war over who should take in the migrants...The stories unravel in parallel and culminate tragically when the fishermen are traced down, but by that time there's only one survivor.